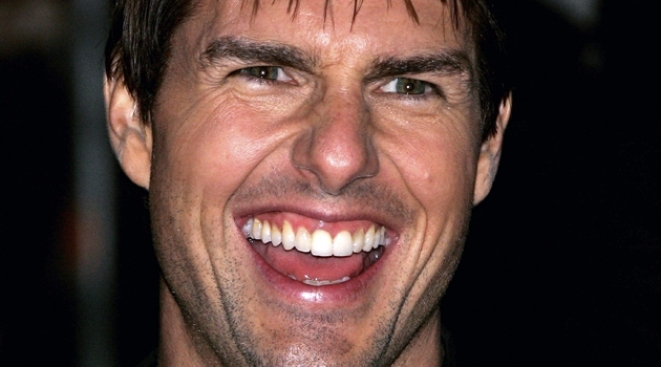 Tom Cruise's son will take after movie-star dad when he's featured in the remake of "Red Dawn." Tom Cruise's son is getting ready for battle. Connor Cruise will star in the remake of the 1984 film "Red Dawn," according to The Hollywood Reporter. Also joining the 14-year-old Cruise as soldier-fighting Wolverines in the remake are Isabel Lucas, Josh Hutcherson and Edwin Hodge. The foursome joins the previously announced Chris Hemsworth, Adrianne Palicki and Josh Peck in the film, which follows a group of small-town teenagers who rise up to battle invading Russian (and in the remake, Chinese) soldiers. Cruise – who made his big screen debut in 2008 as the young Will Smith in "Seven Pounds" — will play Daryl, the son of the town's mayor. Hutcherson ("Journey to the Center of the Earth;" "Bridge to Terabithia") will play Robert, the role originally played by C. Thomas Howell. Lucas will step into the role of Erica, the head cheerleader and girlfriend of Matt Eckert (played by Peck). Hodge (best known for his recurring roles on FOX's "Mental" and "Bones") will play Danny, the town's BMOC who helps start up the fight against the soldiers. Filming is slated to begin next month in Detroit, after the group of young actors undergoes first military training in the coming weeks. The "Red Dawn" remake is scheduled to hit theaters on September 24, 2010.